NCERT Exemplar Books form a great source of information for students of class 12. It contains various questions and solutions that allow students to gain deeper insights. Being in class 12 itself is a crucial period since all important decisions regarding taking up various streams in college depend on the marks obtained in class 12. NCERT Exemplar Books provides that scope to the students. It contains complex theories which prepare the students to face the upcoming examinations with confidence. All NCERT Exemplar Books follow CBSE Curriculum. So, students of CBSE Board must take advantage of it and follow this book strictly. It is advised to go through the CBSE Syllabus in details before solving the NCERT Exemplar Books. Why NCERT Exemplar Book Class 12 Maths? The NCERT Exemplar Book Class 12 Maths helps students to solve complex queries and make them ready for Boards and Entrance Examinations. It contains the topics that are included in NCERT Exemplar Book Class 11 Maths having more advanced level explanations. The advanced questions in NCERT Exemplar Book Class 12 Maths book help the students to think logically about a problem. As a result, students can come to a solution through logical and critical thinking. NCERT Exemplar Book Class 12 Maths provides more advanced and higher level conceptual questions, therefore, students can have a clear concept. NCERT Exemplar Book Class 12 Maths book is important for students who are preparing for Board exams and upcoming Entrance Exams like JEE Main, JEE Advanced, NEET, WBJEE, etc. It contains various equations and formulae, thus, developing problem-solving capabilities of the students. The various types of questions make the students confident enough to face the upcoming competitive examinations. There are 13 chapters in NCERT Exemplar Book Class 12 Maths. Each chapter has in-depth concepts, with proper equations and derivatives wherever required. The chapters are divided into many sections, like, Multiple Choice Questions, Short Answer Questions, and Long Answer Questions. The NCERT Exemplar class 12 Mathematics questions are important for the students since it serves as a self-assessment, thus, helping students to get acquainted with the different question variations. Below given are the links to directly download the solutions for each chapter of NCERT Exemplar Book Class 12 Maths. Click on the required link to download the file in PDF format. The links are 100% authentic and safe to download. Click on the link to open the document in Gdrive, from where you can download PDF. NCERT Exemplar Books will surely help students to score well in examinations. These books are specifically designed for students of CBSE Board since it follows CBSE Curriculum. Students All topics are explained in details. Questions range from Multiple Choice Questions to Long Answer Type Questions. This gives the students a platform to explore and solve questions of varying difficulty levels. NERT Exemplar Books are a must for students of Class 12. It has been observed that many questions asked in Entrance Examinations like JEE, NEET, AIIMS, etc come from NCERT Exemplar Books. Not only that, practicing NCERT Exemplar Books will increase their confidence to face the upcoming exams. More importantly, students will be able to understand all scientific theories related to physics if they follow NCERT Exemplar Book Class 12 Physics. Class 12 NCERT Exemplar Physics Book has more advanced concepts, so students are advised to first solve the NCERT Exemplar Physics book for Class 11 to understand topics clearly and have in-depth knowledge. Why NCERT Exemplar Book Class 12 Physics? NCERT Exemplar Book Class 12 Physics contains various important tips and tricks useful for solving typical physics problems accurately. It is really difficult to score well in examinations by memorising the topics without deep understanding. The NCERT Exemplar Book Class 12 Physics contains all the important details of the chapters. The questionnaire contains various types of questions, such as Multiple Choice Answer, Short Answer Questions and Long Answer Questions. The Questions cover almost all sections of the chapter. NCERT Exemplar Book Class 12 Physics contains 15 chapters. The questions and solutions are provided in a very simple and unique way. Each topic is described properly which helps the students to be confident in their approach while appearing for exams. The NCERT Exemplar Book Class 12 Physics contain many important tips and tricks which is useful for solving typical problems of physics. It covers all the necessary concepts that help the students in attempting all the questions asked in the examination with ease. NCERT Books follow CBSE Syllabus. So, students are advised to be well-versed with the Syllabus before attempting to solve NCERT books. Students who have appeared for IIT Main, IIT Advanced, NEET, etc entrance examinations highly recommend NCERT Exemplar Book Class 12 Physics. The students can analyze their weak points and prepare well for the upcoming Board and Entrance Examinations. We have provided free solutions of all the chapters in NCERT Exemplar Book Class 12 Physics. Click on the links directly to download the files in PDF Format. 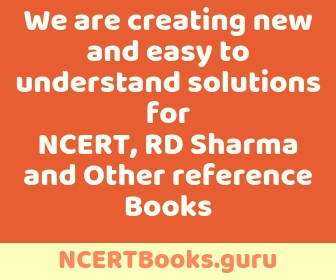 NCERT Exemplar Books have been developed by the Department of Education in Science and Mathematics (DESM), National Council of Educational Research and Training (NCERT), with an aim to providing students varied quality problems in different formats. The questions can be divided into various difficulty levels, such as Multiple Choice Questions, Short Answer Questions, Long Answer Questions. NCERT Exemplar Books follow CBSE Syllabus, so it is an added advantage of students in CBSE Board. 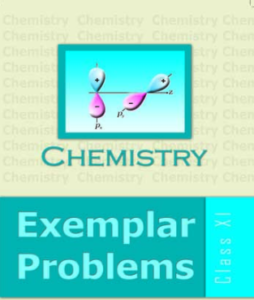 NCERT Exemplar Books Class 12 Chemistry serves as a perfect practice book for students struggling with Chemistry. It is an important one since contains various interactive questions. It helps the students to analyze their weak points, therefore, helping them be prepared for the upcoming Board examinations, as well as, the Entrance examinations, such as JEE Main, JEE Advanced, NEET, WBJEE, UPSEE, AIIMS, etc. Students can assess themselves by working out on these problems regularly and develop their problem-solving skills for upcoming examinations. 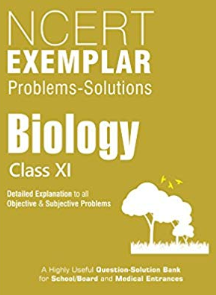 This series of NCERT Exemplar Book Class 12 Chemistry contains detailed explanations/solutions to all questions given in the NCERT Exemplar Class 12 books. The NCERT Exemplar Book Class 12 Chemistry contains 16 chapters and 2 model question papers. The NCERT Exemplar Chemistry questions are provided in different formats, which includes multiple choice questions, short and long answers, and other objective type questions. Detailed explanations have been provided for the problems in order to make the students understand the concepts thoroughly. SOlving the questions will help students nurture their skills. Chemistry is nothing but understanding deeper concepts of chemical reactions and the theories behind it. This book simplifies that job. With a varied number of equations and questions, students will get exposed to all types of how a question can be asked. Students are also advised to go through NCERT Exemplar Class 11 Chemistry book before starting with this one. Since the basic concepts are explained in the class 11 book. Solving both the books one by one will help to strengthen the concepts and give clarity. We have provided free download files in PDF Format for easy access. Click on the required link to directly view and download the questions of NCERT Exemplar Book Class 12 Chemistry in PDF format. NCERT Exemplar Books are important for students of class 11. These books are written in accordance with CBSE syllabus. Following NCERT Exemplar Books will help students improve their logical and analytical skills. NCERT Exemplar Book Class 11 Physics are provided by us. The advanced questions and solutions help the students to have a deeper understanding of the concepts of Physics. It makes them aware of the type of questions that can be asked relating to the respective chapter and the way of presenting the answer, with proper logic and explanation. Before solving the NCERT Books, it is advised to be thorough with the CBSE Syllabus, since it requires the students to have clear concepts. The NCERT Exemplar Book Class 11 Physics problems contain different physics concepts included in the book. These advanced questions given in the book prepare the students with the different varieties of questions and helps to gain a deeper understanding of the concepts. NCERT Exemplar Book Class 11 Physics contains 17 chapters. Each chapter begins with a synopsis, in other words, a brief description of the topic, followed by the questions. There are various levels of questions, starting from Multiple Choice Answer, to Long Answer type Questions. This prepares the students to answer varied types of questions, thereby, increasing their intelligence and problem-solving skills. JEE Main, JEE Advanced, NEET and other entrance exams aspirants are suggested to solve NCERT Exemplar Books as it acts as a self-Assessment book, thereby, helping students to know their weak points and work on it. The questions of NCERT Exemplar Book Class 11 Physics is given below. Click on the respective link to download the PDF files against the respective chapters. The links are 100% authentic and free of spam/virus.